Over the next year, Dvorak worked on many projects, one being his ninety-ninth composition. Wanting something distinctive, Dvorak remembered the theme written on his shirt cuff at Minnehaha Falls and put it in the second movement, the Larghetto, of Sonatina in G Major, Opus 100. Why Opus 100 and not Opus 99? A father's love and devotion to his children! Although technically this opus was his Opus 99, his children wanted it to be named Opus 100 (it sounded nicer to them than Opus 99), so that's what he named it. Dvorak, apart from being a great composer, was also a great father. When he came to stay in the United States, he desperately missed his family and had them come stay with him for long periods of time. Kovarik taught the four children the Sonatina in G Major, which they played for their father in the winter of 1894. When they played, Kovarik stated that "Dvorak was so beside himself with joy that he cried and embraced his children and thanked them for the happiness they had given him that evening." The Cesko-Slovanskv Podporujic i Spolek (C.S.P.S.) 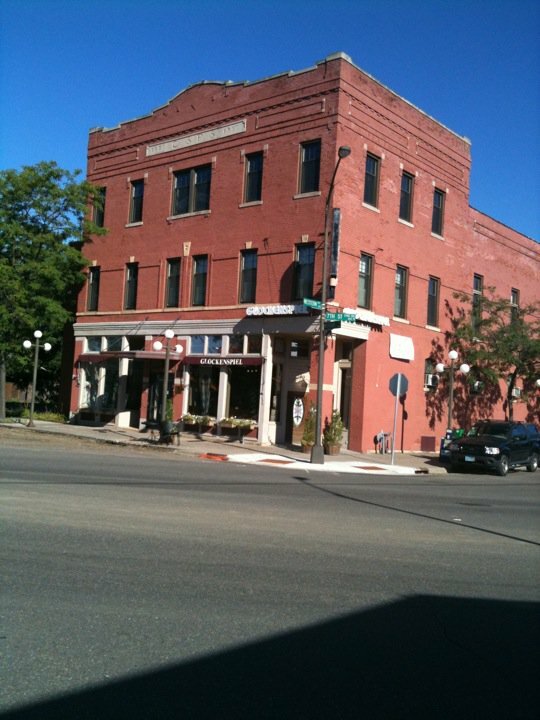 is a building in Saint Paul, MN where Dvorak was feted before and after his Minnehaha Falls experience on September 5th, 1893. Over 3,000 guests attended the informal reception, all wanting to see Dvorak. The building, at 383 Michigan St. in St. Paul, is still dedicated to Czech festivities and remembrances of the time that Dvorak spent there. 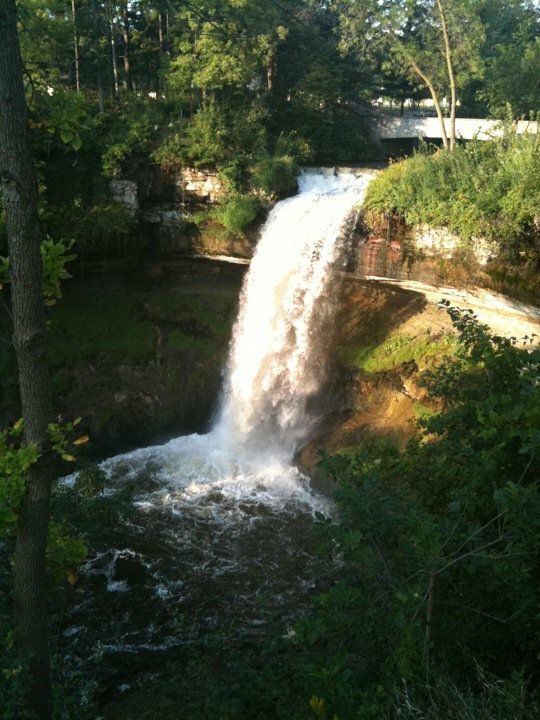 It's amazing to think how a world famous composer found inspiration in our beautiful city of Saint Paul, MN and across the river in Minneapolis's Minnehaha Falls. We would like to thank and credit Minnesota History Magazine for letting us use most of the information found throughout this blog. Thanks for posting the story of this beautiful melody, and Mr. Suk's wonderful performance of it. Hi, that's a lovely piece. My sense though is that what he wrote on his cuffs wasn't the G minor melody at the beginning of the piece, but the "waterfall music" in G major in the middle. It's clearly meant to suggest the Falls, and it's quite similar to the motive Dvorak intended to depict Minnehaha in his Hiawatha opera (which he never completed). One can never say for sure what happened (alas, the shirt was probably quickly laundered...) but again, I feel pretty sure it was the second tune in the slow movement. The Larghetto slow movement evokes tears every time. No one played it like Kreisler, though! Even Suk I feel rushes it a bit here, and it is too tangible. This is a dreamy, other worldly movement. Truly like a Lament.